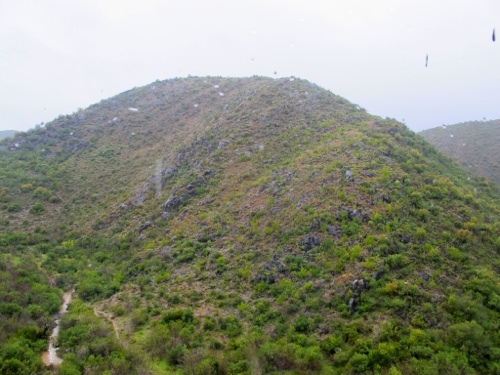 Nearly a half hour’s drive from the principal town of Oudtshoorn lies the limestone mountains of the Klein Karoo. 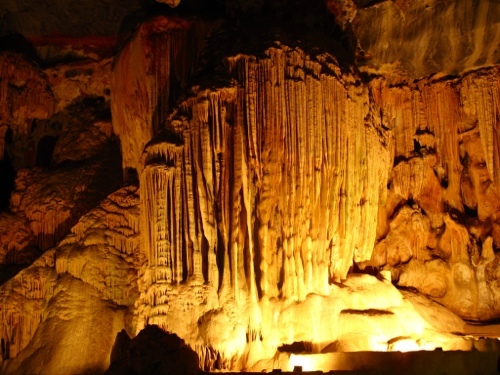 The Cango Caves claim to have one of the biggest stalagmite formations in the world. Now, I’m not a big fan of caves and stalagmites or stalactites, but thought the supervised tour would be a good opportunity to spend a “productive” hour or so. This is the “atrium”. Looks like a hall waiting for a concert to commence! 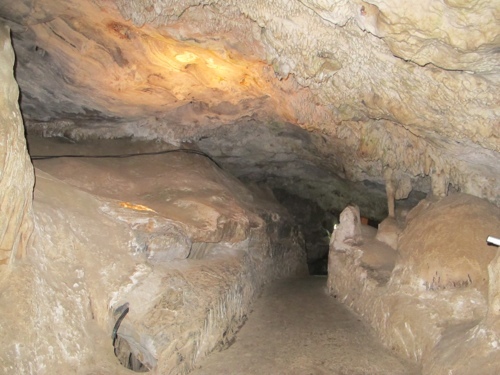 The caverns and tunnels opened up to “atriums” like the photo above. Like there’s a big hall ready for a concert. The stalagmite formations are very impressive. I had to deliberately stop snapping photos after convincing myself that one can only have so many photos of these natural wonders. 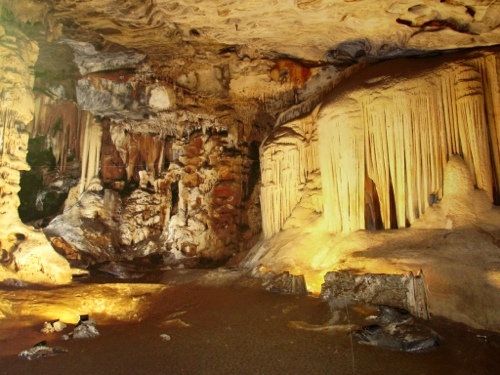 Dripstone caverns. 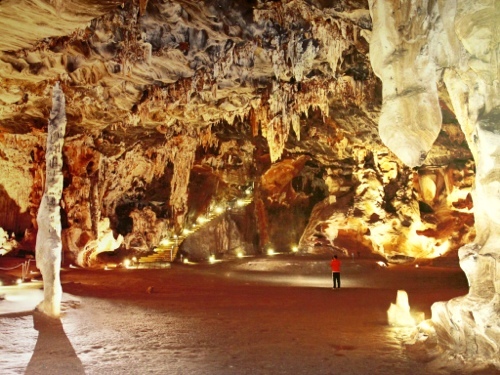 Cango Caves claim to have the largest stalagmite formations in the whole world. 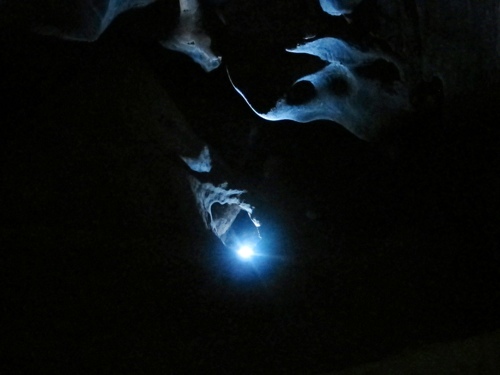 An adventure tour is available where one can view more drip stone caverns while fumbling on all fours. Not for me. As we walked through the tunnels and passageways, I was peeling off layers of shirts I earlier put on as the cave temp rose. Besides, I was quite content to see and photograph “Cleopatra’s Needle”. All of 9 meters and “only” 150,000 years old. 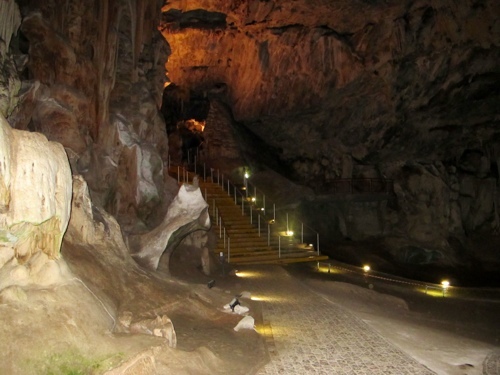 Easily, it’s the main attraction inside the Cango Caves. The many drip stone formations which took millions of years to form are breathtaking. And that’s coming from someone who doesn’t dig caves and stalagmites/stalactites. Amazing how these caverns can exist beneath these limestone mountains! As we were leaving, I reviewed some interior shots and found this. I couldn’t make heads or tails off the last photo. Can you?